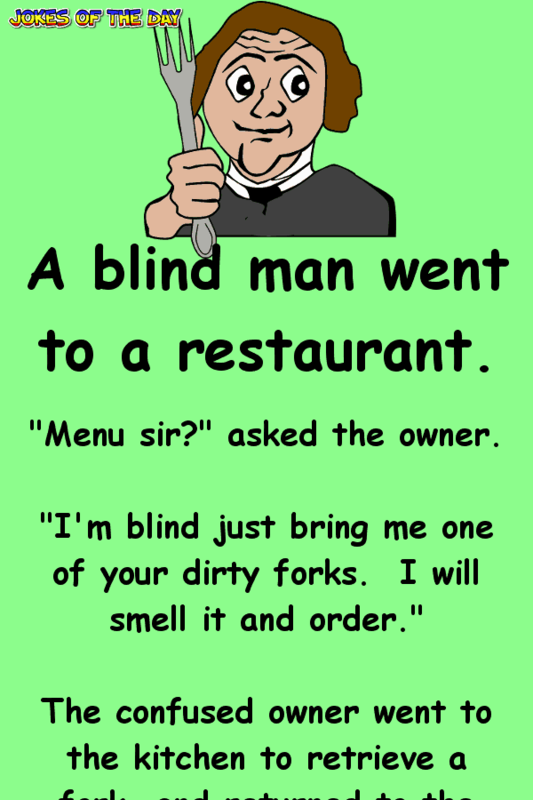 A blind man went to a restaurant. “Menu sir?” asked the owner. The confused owner went to the kitchen to retrieve a fork, and returned to the blind man. The blind man ate and left. 2 weeks later the blind man returned. The owner, wanting to see how good his smell is, quickly went to the kitchen where his wife Brenda was cooking and said, “Do me a favour and rub this fork over your private part! !” which she did! He then goes to the man and gives him the fork.